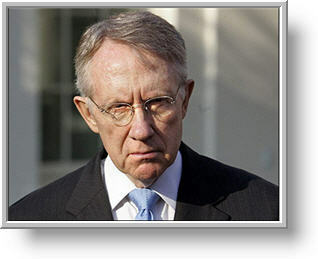 A skeleton and a hangman in Harry Reid’s closet . . . This e-mail, dated December 13, 2010 is from a long-time friend, a great lady that left the semi-arid spaces of San Antonio, Texas for greener pastures in another realm earlier in 2010. Evidently my computer considered it to be spam and sent it straight to my junk mail. I was cleaning out the files and I found it just this morning. It was a bit startling because she died in the summer of 2010, long before the date of this e-mail, but then I realized that her husband is still using her e-mail for correspondence. I hesitated a long time—about five seconds—before deciding to post this on my blog for the edification, enlightenment and amusement of my readers. Whether true or not, I’ll bet you’ll find it just as humorous as I did. I doubt that the senator will read this, but if he does I’ll bet it will elicit a smile—at the very least. It’s all about how you put it into words . . .
Judy Wallman, a professional genealogy researcher in southern California, was doing some personal work on her own family tree. She discovered that Senator Harry Reid’s great-great uncle, Remus Reid, was hanged for horse stealing and train robbery in Montana in 1889. 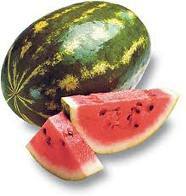 Both Judy and Harry Reid share this common ancestor. 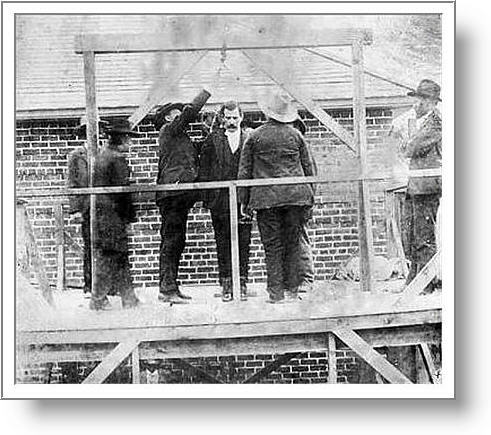 The only known photograph of Remus shows him standing on the gallows in Montana territory. Remus Reid, horse thief, sent to Montana Territorial Prison 1885, escaped 1887, robbed the Montana Flyer six times. Caught by Pinkerton detectives, convicted and hanged in 1889. Now that’s how it’s done, folks—that’s real political spin! That’s her story and I’m helping her stick to it. My first port director—my friend and my mentor . . . I began my career with U.S. Customs as a GS-7 trainee at the port of Progreso, Texas and I was upgraded to the GS-9 journeyman position after one year. During that year I learned more from one officer at the port than from all the others combined. Not that they didn’t help me learn the ins and outs of the job—they were very helpful, but the port director and I became a team, both professionally and personally. Almost from the beginning we were like brothers, respectful of each other and each always looking out for the other’s back. As a measure of how well the port director taught me, I was awarded an in-grade pay increase in my second year and another in my third year, both based on my duty performance, particularly on my arrest and seizure record. An in-grade pay increase is a pay raise given for outstanding performance, and is in addition to the normal longevity raises given to federal employees based purely on successful duty performances. In-grade pay increases are the gifts that keep on giving! Some ten years older than I, the port director took me under his wing like a mother hen protects a chick—figuratively, of course. He placed me on the right path for success in my new profession and set me straight when I strayed from that path. He raised hell when I made mistakes, and he lauded me when I managed to do something right, such as making seizures and accurately documenting our various Customs activities. I also was brash enough to submit several suggestions that I felt would improve port operations, and upper headquarters felt impelled to implement my suggestions and provide remuneration for my ideas. How about that! His most recent assignment was at the port of Eagle Pass, almost 300 miles upriver from Progreso. In the latter part of 1971 Progreso became a separate port from the port of Hidalgo, and he was promoted to the position of port director for the new port. His name was Paul, and he died at Christmas time in 1973. His cancer disease was diagnosed in mid-1972 and a scant eighteen months later he was dead. Paul, my first port director and supervisor in Customs—my friend and my mentor—was buried in Brownsville, Texas some fifty miles distant from Progreso. I was unavoidably delayed at the port and the casket was closed when I arrived at the funeral home. The funeral director offered to open the casket for my viewing but I declined the offer. I figured that Paul had once again been promoted and was already on the way to his next assignment, that shining port in the hereafter, and I was reluctant to slow him down. 19th Street South—a goose for Thanksgiving . . . The word goose in the above title is not intended to be a verb, one that refers to the application of one’s hand, normally using the middle digit, to the derriere of another person, a motion that can be applied lightly, forcefully, brutally, playfully, laughingly, meaningfully or enjoyably but never accidentally. 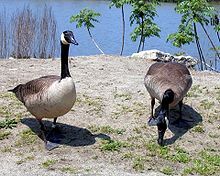 If one has goosed or has been goosed, both gooses were delivered purposefully and received unwittingly without choice—no, in this usage the plural of goose is not geese. The word goose in the above title is a noun, the name for a large bird that exists in large numbers in the wild, but a bird that is also domesticated and raised for its food and feathers. In this case the plural of goose is geese—the birds shown on the right are geese. When I was a child in Columbus, Mississippi we lived some thirty miles from our relatives in Alabama, and on Christmas and Thanksgiving holidays we traveled to Alabama to celebrate the day or they traveled to Columbus for the same reason. I can vividly remember a Thanksgiving that was celebrated at our house. a celebration that featured a large cast-iron wash pot and a large not-cast-iron goose. 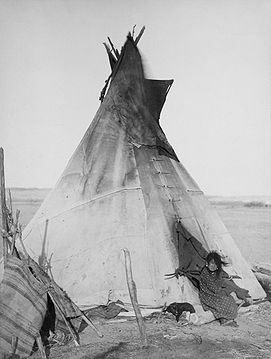 On the day before Thanksgiving the men fashioned a tripod using lengths of 2×4 lumber similar to the method used by Indians to erect a tepee (also spelled tipi). A fire was laid in the center of the circle formed by the structure but not immediately lighted, the iron tub was firmly suspended from the apex of the tripod and filled with water and the goose, nicely cleaned of everything deemed not edible, went into the pot along with requisite other items—onions, potatoes, carrots and everything else that goes good with goose, and the fire was lighted and the goose was cooked—in fact, one could say truthfully that the goose’s goose was cooked—-just a bit of humor there! I was away from the scene and tucked in for the night long before the contents of the pot were removed and taken to the kitchen to await the next day’s carving and dining, kids playing, women gossiping and singing more church hymns and the men taking frequent short walks behind the house with a not-so-mysterious bulge in their shirt or hip pocket. That goose—the bird, not the verb—was gifted by one of the visiting Alabama relatives that kept a flock of geese around the house for food purposes and to a lesser extent for watch purposes—yep, geese make good watchdogs and will sound the alarm when necessary—actually sound the alarm when anyone is near, whether friend or foe—it’s in their nature. We lived next door to one of my mother’s sisters, a family of four—counting that four, our five and the relatives from Alabama there was a real gaggle of people gathered for Thanksgiving dinner, and we needed a lot of goose. To emphasize the number of people, picture a flatbed two-ton truck with no sideboards and its flatbed covered with passengers, folks lined on three sides with legs dangling and with more riders seated in the center plus several standing at the rear of the truck’s cab and several more in the cab. The dangling legs belonged to adults—the children were safely ensconced in the center of the flatbed. 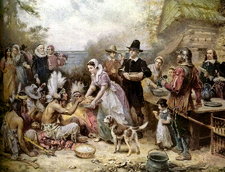 The image above shows the actual gathering on that Thanksgiving day. It’s a painting made from a quick sketch by one of my uncles and later put on canvas—acrylic, I believe. The other image, by the same uncle, is a painting of my mother presenting the cooked goose to the diners—the fellow behind her is her boyfriend. Hey, I knew I couldn’t fool my readers—you’re right—that image is a painting of the first Thanksgiving created by American artist Jean Leon Gerome Ferris (1863–1930), and that is not my mother in the other image, nor is that her boy friend. That’s a painting by Norman Rockwell (1894–1978), one of the Four Freedoms series painted by one of America’s best-loved and most-collected artists—this is his conception of Freedom from Want. The others are Freedom of Speech, Freedom from Fear and Freedom of Worship. The truck was overloaded when it arrived, but somehow when it left late in the afternoon on Thanksgiving day it accommodated all that had arrived on it plus me and my youngest sister and all the leftovers from our Thanksgiving dinner, including a considerable amount of goose and goose dressing—yes, that was one large goose and a monumental amount of goose dressing. 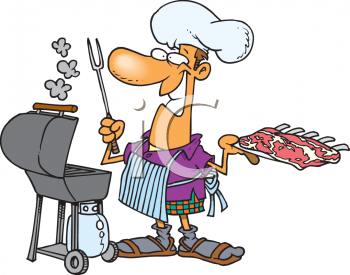 That’s my story of a memorable Thanksgiving day when I was a boy, and I’m sticking to it!